We, the players of the Women’s World Chess Championship 2010 in Antakya/Hatay who have signed this document below, would like to share with the chess community and FIDE our thoughts about the level of the organization of the recent women’s world championship. Full board in the Hotel Anemon Antakya for the participants of the championship cost 130 Euros. The regular price for the same hotel with no food is 60 Euro per day. The hotel was located far away from the center of Antakya on a noisy, dirty road with nowhere towalk around. Some players tried to book their rooms through the official website of the hotel, where the room price per day was about 65-75 €, including breakfast. Obviously the remaining 60 € could be spent for a very adequate lunch and dinner. But they were informed that the hotel was booked out, and it was impossible to book a room without going through the organising committee. Even though normally only the players are forced to stay in the official hotels, in Turkey everybody who came with a player needed to stay in the same official hotel. Which made the participation in the world championship even more expensive for players who decided to come with their trainers. ‘s an easy way for the organizers to force the players to pay more than they should. The players were also asked to pay a “registration fee” or deposit of 100 Euros, which is something new for the World Championship, and not convenient for the players. The 2010 Women’s World Championship was a real disappointment for most of us. The impression we got was that the organizers wanted to spend the least amount of money, while earning as much as possible from the players, which is unacceptable for such high profile events. Therefore, in order to avoid such unpleasant situations in the future, we ask FIDE to take more serious steps for choosing a city-candidate for such important events. A FIDE representative, preferably a female player, should visit a site which is bidding for such an important event before it is accepted as the venue by FIDE. Before being accepted, the organizer of a future world championship should sign a special contract with FIDE, guaranteeing minimum quality of organization. the points we discussed in this letter (quality of hotel, food, opening and closing ceremonies, hall of play, payments from players, etc.) should be specified in this contract and none of these should be changed before the event or without notifying FIDE. The contract between FIDE and the players for the upcoming world championship should include the name of the hotel and the exact price the player will need to pay and exactly for what services. That price should be reasonably close to market prices for those accommodations. 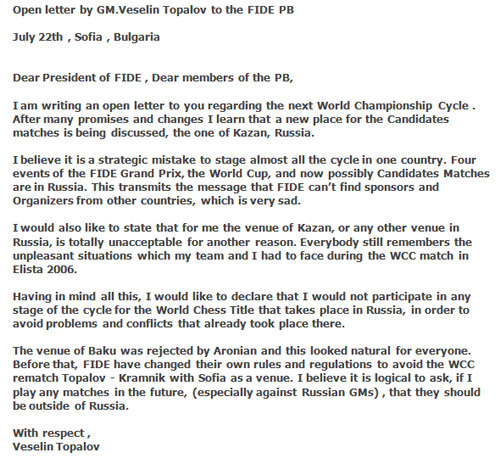 We hope that FIDE will take into serious consideration this open letter and will make sure all these very important questions are addressed in order to ensure all future events are held with fair conditions for the players. In relation to the Chess Federation of Cyprus and all the stories going around I want to clarify irrevocably the whole situation. On the 14th of July Mr Karpov visited Cyprus. During his stay he visited the President of the Republic of Cyprus, Mr Demetris Christofias. The day after his visit there was an article in Mr. Karpov’s website that “President Christofias supports Karpov”…. I immediately contacted personally the office of the President of the Republic of Cyprus and asked them if that was true and showed them the copies of the article. The answer was that the President of Cyprus has never offered any support or promised anything else to Mr. Karpov but he just accepted to meet him for a coffee as the ex-world chess champion. President’s Christofias office said to me that they would send a letter to Mr Karpov in order to remove this story from their site “Karpov 2010″ as it is not true. The other mystery concerning Mr Karpov’s visit to Cyprus is that he believed that our delegate for the elections was Mr Vassilis Aristotelous, a member of the Board of the Cyprus chess Federation, and for this reason he spent all his time with him…. He made him a great fun and loyal to him acting as his employee in Cyprus???? Mr Aristotelous Vassilis acting as an employee of Mr Karpov visited all the members of the Federation in order to take their written consent for supporting Karpov. He also promised them that the document with their signature will not be shown to the public… He managed to take ten signatures, with just nine of them being from members of the Cyprus Chess federation. One signature was from somebody who is not a member of Cyprus Chess Federation. At a later stage, two out of the nine members that have showed support for Mr. Karpov, changed their mind. Anyhow that letter has no legal status for our Federation and it is just a planter for the eyes of those who read it and can be used only for propaganda purposes in order to divide our Federation in two pieces. Mr Karpov, his partners and Mr Vassilis Aristotelous efforts to divide the Cyprus Chess Federation haven’t been achieved as they have underestimated the President of the Cyprus Chess Federation. Myself as the President of the Federation had no idea concerning Mr Karpov’s visit to Cyprus as he had never contacted me or even spent a minute to call me, as his only concern at the time was about the person that would travel to Siberia to Vote and he thought that the delegate was Mr. Vassilis Aristotelous. In order to cut the long story short, according to the legal status of our Federation the President of the Cyprus Chess Federation is the only person that is the delegate for the elections and does not need any approval from anybody in order to vote whatever he wishes. But myself as the President of the Cyprus Federation in order to have unity in our federation I have asked for the eighteen members’ opinion. In the beginning twelve members supported Mr. Kirsans’ ticket and six supported Mr. Karpovs’ ticket. Then suddenly 3 members changed their mind as they had received a telephone call from a Private number saying to them that it was Mr Kasparov on the phone, promising them a lot of things that never happened and divided our federation in two pieces, nine with Mr. Kirsan ticket and nine with Mr Karpov ticket. After a legal written demand from Mr Vassilis Aristotelous and eight other members of the Cyprus chess federation I called a legal Board meeting of the Cyprus Chess Federation members on the 19th of July 2010 in order to hear their opinion for the upcoming elections. In that meeting only nine out of the eighteen members were present which is more than enough to have a proper and legal meeting and decision according to the legal status of our Federation. In the above mentioned meeting a Unanimous decision was obtained to support the ticket of Mr. Kirsan Ilyumzhinov for the upcoming FIDE elections. This is the only legal and correct decision for the Cyprus vote in the upcoming FIDE elections in Khanty-Mansiysk. Any other publications or letters, articles from any site or directions, etc concerning our Vote to the September FIDE elections is just propaganda without any legal status. Recently there has been a public discussion about Germany’s Olympic team. The top players have refused to participate under the financial conditions offered. 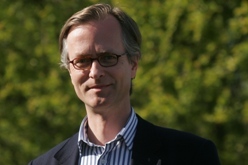 The Presidential Board of the German Chess Federation with its President Robert von Weizsäcker has clarified the facts and has rejected the non-objective arguments. 1. Supporting the top level sport is a main task of the German Chess Federation. More than 100,000 € are spent every year for the top players and talented youngsters. Administrative costs and salaries for the trainers have to be added. No other department has a similar budget at its disposal. 2. All projects of the top level sport are published on the website of the German Chess Federation. The budget includes, for instance, the costs of the Chess Olympiad, European team and individual championships, bilateral matches and supportive measures for young players. 3. The top players have publicly complained that they do not profit from this programme. This assertion is not true. Two of the top four German players (Naiditsch and Meier) have received grants of totally 57,479 € in the period 2005 to 2010. 4. Due to tax reasons the German Chess Federation cannot pay any honorarium for the members of the national team. Such payments have to be done by sponsors or – if necessary – by the “Deutscher Schachbund Wirtschaftsdienst GmbH”, a limited liability company. 5. The amount of the honorarium is always discussed by a commission. Representatives of the players are members of it. It has been agreed to offer the players of the men’s team for the participation in this year’s Olympiad an honorarium of totally 15,000 € which means approximately 3,000 € each (depending on the individual result). 6. The Presidential Board of the German Chess Federation rejects the reproaches of GM Arkadij Naiditsch and GM Georg Meier towards those being responsible for the top level sport (President, Director of top level sport, Tournament Director, National Coach and the Executive Director of the limited liability company). The Board is prepared to discuss issues but condemns the personal defamation and reserves for itself further consequences. After the announcement of my ticket to run at the forthcoming ECU elections in Khanty-Mansiysk all my team members have contacted or met a lot of representatives of the European chess federations. We have received a lot of support and we have realised that there is a profound need for a real change in ECU as well as in FIDE. Most of my ticket members are involved in Anatoly Karpov’s campaign for FIDE President. He knows about the importance of Europe for FIDE and for the international chess activities. We therefore have agreed that Europe should benefit from the financial package Anatoly offers for the next 4 years. If he wins and if my team will get elected, Europe will receive a total amount of 1,2 Mio US$, that means 300,000 US$ per year. We will spend this money directly for European federations or regions. In our mission statement we had already mentioned our support for Anatoly Karpov’s campaign for FIDE President and our aim to bring in sustainable sponsorship. As you can see, this intention may very well materialize. We do not have too much time until the elections in Khanty-Mansiysk. But this period should be used by all my ticket members to build up closer relations to all federations. We should know what your problems are, whether we can help you and what you expect us to do in the future. We know that because of the holiday season it will not be easy to have a permanent exchange of opinion. But anyway, if you have any questions, please contact us. 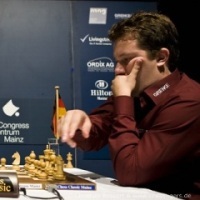 On 28th July German the top Grandmaster, Arkadij Naiditsch, unveiled some details about the German Chess Federation in an open letter to all media. As per request of Mr. Naiditsch we are publishing the text here. This letter is not addressed to anybody directly. As a player of the German National team I would like to make some things clear about my hard working Federation and its President, Prof. Dr. Von Weizsäcker. Let’s start with the fact that nobody from the German A-team is going to participate in the Chess Olympiad this year. These players are Georg Meier, Jan Gustafsson, Daniel Fridman and me, Arkadij Naiditsch. Why? The easy answer is that the biggest chess federation in Europe, about 100,000 active members, couldn’t manage to find money to pay the players. So, the next question is “how could this happen”? This question is easy to answer as well: nobody in the federation has been doing anything for at least five years. The German Chess Federation has no sponsors at the moment, so the money is only coming from their members. Generally, even this should be enough to have a great and lazy life, but the main problem is the meetings attended by huge amounts of hungry officials that are being held almost monthly in expensive hotels. Prof. Dr. Von Weizsäcker found 0 Euros in two years of being the President of the German Chess Federation. (Maybe he simply has no time, being a Professor at a few universities?) The huge support he is threatening to cancel is this: for myself as German number one (my current ELO rating is 2684), the German Federation covers about half of my expenses for playing in exactly one tournament, the European Championship. That amounts to about 800 Euros a year, nothing more. Now, of course, their direct threat to cancel all that help is making me sleep badly and giving me nightmares. Next time, maybe if I cover the coffee bill I hope Prof. Dr. Von Weizsäcker and my hard working Chess Federation will not cancel the important support for me?! We will see in the future if they have any mercy. As we know, Prof. Dr. Von Weizsäcker is running his campaign for the ECU Presidency, and many European countries are giving their support to him. Now, the logical conclusion would be since he could do absolutely nothing for chess in his own country in two years, or again had no time for it, which, of course, led to the same result, can he do something for Europe? I would say probably not. So here comes the idea. Maybe we could open a charity foundation for the German Chess Federation and for Prof. Dr. Von Weizsäcker? Many people are sending small amounts for “saving the forest” so maybe it could work with my dear Federation and Prof. Dr. Von Weizsäcker, too? It is hard to find anybody coming across as more poor and helpless than the German Federation. Chessdom has contacted the other two candidates for ECU Presidency, Mr.Silvio Danailov and Mr.Ali Nihat Yazici. Both were very moderate in their comments. Q: The ECU election Campaign goes intensively. What is your opinion for the ongoing election Campaign? Ali Nihat Yazici: I like the quality of the Campaigns in Europe on the contrary to what happens with the FIDE elections from Karpov’s side. We have created our Campaign program, our website and we are visiting all federations. We work very hard to convince each federation to support our group and our Campaign program. We do not talk only about elections but also how we may realise our dreams after the election. Based on the communication we have with federations, we are optimistic that we can win the elections on the first ballot, because everybody knows what I have done in my federation, Europe, and FIDE. Silvio Danailov: I am very happy with our Program and Campaign so far. Our team is working very hard and we are optimistic regarding the elections. Q: Did you read the interview of Mr.Arkadij Naiditsch about German Chess Federation? Ali Nihat Yazici: Yes, I read it and it is a pity. However, this is not our business, as it is an internal problem of German Chess Federation. We will not touch such national issues. We are sure European delegates will evaluate everything and will choose the best candidate. We may say only that when we are managing European chess, we will solve such financial problems for all European federations, including the German Chess Federation. Our objective is to find new financial sources for the federations, and we are going to help all Federations, irrespective of their size or financial status. It is time that the leadership of Europe works for all the continent and we are going to do so. In a maximum of 2-3 years, such problems, like the one which is facing the German Chess Federation will not be any more an issue. As we have mentioned in our website, www.wereurope.org, all federations, big-small, rich-poor, strong-weak, everybody, will get benefit from the strong, positive wind we bring to European Chess. Silvio Danailov: Yes, the letter of Naiditch is with great sense of humor, but in reality this is very sad story. However, I hope that the situation in German chess will improve in the future. As Chessdom.com informed yesterday, Azerbaijan have secured the first half of the Candidate matches. They have already transferred the initial 150,000 EUR to FIDE account and have signed contract with the local player Shakhriyar Mamedyarov. 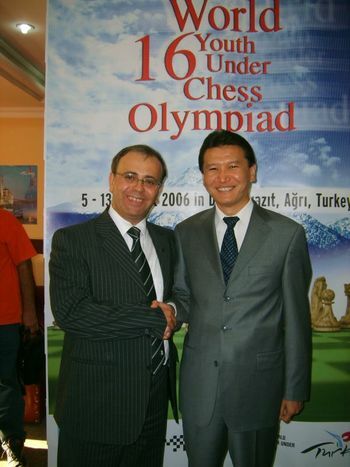 Exactly 935 days before the Chess Olympiad 2012, the once opponent of the FIDE goverment, Turkish Chess Federation President Ali Nihat Yazici, has expressed one more time strong support for President Kirsan Ilyumzhinov. The following letter was published on the Turkish Chess Federation official webpage. We all love chess. And the most important doctrine to be learnt in chess is not to repeat the same mistake again, to learn from mistakes. It was the year of 2005, when I decided to create a group against FIDE management at the time. I had dreams and wanted to be in power to realise my dreams. Do not underestimate me being a dreamiest, look at Turkish Chess and see what has been realised, 10 years ago even could not be dreamed. Also the rumours about FIDE management were a reason for this raising up. Through the help of some friends Mr. Bessel Kok joined me. I remember even date – it was in 2005 FIDE Congress in Dresden, in the garden of Trefl Hotel we met for the first time. The gentleman, according to source of information, was a rich man, with clear experience in business and finding sponsorship. I respect anyone who is willing to contribute to chess in legal terms. Of course my closest friend Geoffrey Borg was together with me for the right move campaign. I had a discussion with Mr. Kok and decided to create the ‘right move’ group, and accept his willing to join to this group. So, I did not join to team of Mr.Kok, he joined my team as the candidate for presidential post. You may remember this campaign; it was a great experience for me. During the campaign I understood how a person can be a rich man, but even I learnt it from Kok, the variant for this aim has not been suitable for my personality. We have lost elections with a clear difference of 96 to 54. I was in losing camp but it taught me a lot in the politics. I believe in that I learnt a lot from this chess game I lost. Do not we pay a cost for learning lessons? During this campaign one of the issues we have faced was a Karpov candidacy. We knew very clearly that a second candidate against to Kirsan would make our job very difficult. During those meetings with the third camp I met Mr. Karpov, and it was another excellent (!) experience for me. We lost elections, but being one of the strongest Federation’s President, I accepted the result with maturity. At the end it is democracy all we believe in. It was 6 August 2006 in Agri, when we organised World Youth Under 16 Chess Olympiad Kirsan came to the opening ceremony. Since Agri airport is domestic, and his intensive schedule was not allowing him to come via Istanbul with a scheduled flight, he came and landed in Nahicevan (Azerbaijan) with a private jet, I picked up him from Nahicevan and we were driving with escorts to the town of Dogubeyazit for three hours. During this time, Kirsan expressed himself to me. It was my first private meeting with President for a long duration in car. He told me his dreams and ideas how to make chess a popular sport in the world. I loved those ideas, were not they my dreams? They were. We went to opening ceremony and this famous picture you see everywhere was captured there. Exactly after the opening ceremony, (Kirsan has been in Dogubeyazit for two or three hours) we returned back to Nahicevan to his private rented jet. On our way back, the President of FIDE told me he was going to establish a new company (later called Global Chess) and he wanted to invite the good program of opposition and people into FIDE work. He told me that Kok will be in the management and I should be there due to my experience and good work I have carried out in Turkish Chess. He told me that he was going to put two million Euros as capital to company from his private money and my salary would be 10.000€ per month being deputy (or co-chairman I do not remember well) of the company. I have refused on the spot, although the money was equal to my 6-month salary. There are some principles, being President of Turkish Chess Federation, although it is legal money I could not accept such as job. 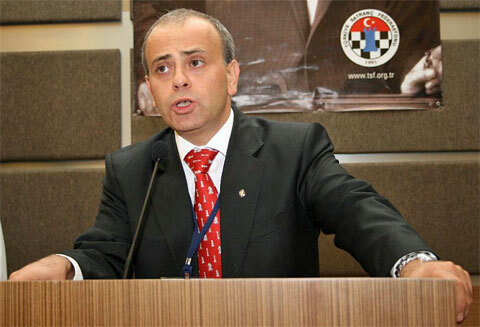 I could not be the president of Turkish Chess Federation and working as staff of the President of FIDE. It is a conflict of interest for me. On the contrary, I know now that Mr.Kok has been paid from September 2006 till May 2009 a substantial amount of money, probably better then what I was proposed. Later on, in 2007 when Kirsan came to FIDE Presidential Board in Antalya, we have met at the airport and with a VIP car went to Kemer. This time we were together with Berik Balgabaev and Kirsan offered me again this job in Global Chess. He told me Bessel Kok would be the Chairman, I would be co-chairman. Sure I refused again. I did not want to be reached in this way… Then Kirsan told me that he wanted me to be FIDE Vice President. My answer was clear, ‘I will tell my opinion always as I believe. ’ I do this still. I accepted and since this time in the board I have been telling what I believe in. No one tried to stop me or attacked me for my opinion in board. During my vice president position in FIDE, with any name, I was not paid 1 cent by FIDE or Kirsan! From 2006 September till 2009 May, Kok was paid by Global Chess (Kirsan); a lot of money. As far as I know he did not manage to bring even one cent to Global Chess. Sure it is not my business but all should know this issue. A few days ago, when I saw his support letter to Karpov, I was shocked. How is it possible to be in this situation. Yes! I made a mistake, a costly mistake, but I learnt a lot. From outside, as I was in 2006, there are so many rumours about FIDE management. But believe me when you are in, you understand that 100% of those rumours is rubbish. During the last two weeks I spoke with some delegates, they are afraid of Karpov’s allegations that many people in FIDE are corrupted. That was the reason, when I published my open letter, I requested Mr. Karpov, ‘give me a fact! Or apology!’ We did not see any of these proposed replies. Sure it is a lie. Please check www.fide.com directory/minutes. You will see all minutes of meetings, decisions, and budgets, everything. All meetings of FIDE are open to public, did you know that? Now try to think from my position, on one side – there are dirty games, on the other side – honest people accused by opposition. If you love chess, what you would do? Do not we need some people with courage and braveness to express their opinion? Is this wrong? I do not understand people who are accusing me of having changed my camp. Sorry! It is not me as the leader of the Right move who was paid and shifted his position. I did not get a cent from FIDE or FIDE people to step out. I see the realities, I understood my mistake and now I am making the correct move. Kirsan is a candidate now!! I know it and you will see it. But the team is more important. If Kirsan steps out, since we are very strong team, we will find another candidate. We have B Plan, C Plan, D Plan, etc.. The leader may be anyone! From Africa, America, Asia, Europe or even from Turkey!! This wind started in 1995 and it will never go down. Also I wanted to answer oppositions’ small guys sending around letters criticizing me for switching camp. Guys! After I have seen you in the “right move” campaign, I understood everything! That is the reason; I am in front fight with my brave chest fighting you. I am not earning my life from chess, on the contrary sacrificing a lot. Many people in this team are similar. Sure there are some of our federations stepping out from our group, because they are terrorized or misinformed. In what way? * One of the biggest lies some people are using is that Kirsan will not run. They say this to many federations and they get their support, you will see how many of those federations that made an open letter for Karpov, will return back to home. * They are using many allegations about honest and modest people, to change delegates opinion. Sure, justice will be revealed. We trust democracy and Justice! So… Right move was a good spirit, I started, but I made a big mistake (??) choosing some wrong people there. All we should learn. I will not make the same mistake again! I am sure, some of you do not agree with that. The letter above makes reference to an older letter and to the fact that Anatoly Karpov and his supporters have not been able to provide any proof of FIDE being corrupt. Here is the first round of open words came in the beginning of May, where Ali Nihat Yazici asked the question and is still waiting for the exact answer. As I told you personally in Rijeka, at breakfast, we all respect you as a World Champion, as chess lovers. I wish you very good luck (you need a lot…, and it does not work in this business) for the upcoming FIDE elections. I have read your letter, and saw that again either you do not read all these releases in the chess media (very bad for a candidate) or your words do not represent what is the truth. Mr. Karpov, in your letter you mention that your opponent did not get any support letter from a voting federation. You missed a federation, my federation, the Turkish Chess Federation. I would like to understand if you do not care about that, or if your team (if there is one) does not inform you about that. I attach this link for you to see it. On the other hand, sure we will vote for the best candidate we believe, for the sake of chess. But I cannot see in your letter anything you want to do except attack our current President Kirsan Ilyumzhinov. May I ask you kindly to be on the level of the respect you desire from all your fans, stop this negative campaign and tell us clearly what you want to do. Please do not tell us your allegations (I was insulted by you accusation that I was a “corrupt FIDE management member” – that is still on your website), it is shame to hear such as incredible untruth stories from such as legend. We still await a strong apology from you as a legend, this attitude is clearly not fair play. Mr. Karpov, do not tell me please, like you said in the Sofia Press Conference, as answer you do not want to go to details. In your campaign website you say that the FIDE Management is corrupt. GIVE US A FACT HOW WE ARE CORRUPT!! I do not believe that a FIDE presidential candidate should attack everyone around the world with unreal accusations, You say that you will unite the world, but look what you have been doing in your campaign by accusing people with such as allegations. And after the election when we shake each other hands (I hope you will be able to do it) you will understand those miscalculations. The FIDE Management has never in the history been as good as it is now, and believe me, when we win, it will be even better. A few days ago some delegates of the Russian Chess Federation announced Mr. Karpov for the Russian candidate for President of FIDE in the upcoming elections in the Chess Olympiad 2010 Khanty-Mansiysk. However, the announcement was quickly criticised by Arkady Dvorkovich, who said the decision is not valid. More details on the deision, why it is illegal and contestable, are given by FIDE President Kirsan Ilyumzhinov in the following open letter. In certain media, it was reported that the Russian Chess Federation supposedly “took a decision” to nominate Anatoly Karpov as its representative for FIDE President. Unfortunately, a “decision” shrouded in clear deceit and typical of the misrepresentations which we have become accustomed to the last few weeks, from the troika of Karpov, Bakh and Kasparov. A meeting was originally for 5.00 p.m. in Mr Dvorkovich’s office, and it was suddenly changed by Mr Bakh notifying some of the delegates that they should meet at 4.30 p.m. at the premises of the Russian Chess Federation. The Chairman of the Russian Chess Federation was not notified at all. A grave insult to the office of the Chairman and the Russian Chess Federation. This clearly violates the statutes which determine that all meetings are to be presided over by the Chairman. A rough show of hands was called for and an immediate statement released on this basis. These tactics are reminiscent of the behavior which Karpov and his team, were so content to exploit, during Soviet times. From my side, I had preferred to leave the delegates in a neutral position, but such behavior not only infringes any sense of ethics, but makes this decision completely illegal and contestable, apart from any other actions that are reserved against persons who knowingly misled the delegates into taking such action. Let me make it crystal clear, dear delegates, I will run for FIDE President once again and I am confident that the delegates will once again put their trust in our team. I have the clear support of the majority of FIDE’s member Federations who have been waiting patiently in the background, for the Russian Chess Federation to proceed with its nomination. Today’s decision makes a mockery of Karpov and his team, who believe they are capable of running a future FIDE. His campaign so far has been based on misrepresentation and false accusations. Our mission grows stronger to protect the unity, transparency and democracy that has been created within FIDE these last fifteen years. * During her visit in Sofia from 8 to 12 February 2010, Mrs. Aruna Anand, wife and manager of the world champion, reserved two apartments and 4 rooms in “Hilton” Sofia from 15th of April until 14th of May 2010. These were paid for in a timely manner by the Organizing Committee and are at the disposal of the team of V. Anand. On the 15th of April Mr. Hans-Walter Schmitt, member of the team of V.Anand checked in the hotel in Sofia and took the keys of all rooms designated for the delegation of the World Champion. From this follows, that Mr. Anand and his team have checked in the hotel. According to the Contract (art. 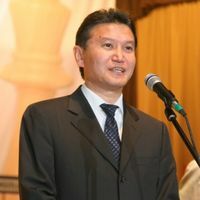 8 “Privileges of the players”), FIDE asks from the organizers to give them, with their good disposition, 7 (seven) days before the beginning of the match for getting accustomed to the new location. This privilege the player uses depending on his judgment. According to the contract, the player is obliged to be present at the mandatory press conference before the inauguration of the game, which is scheduled for the 21st of April this year. * On the 15th of April this year the Organizing Committee of the match asked in writing Mrs. Anand about the time and number of the flight that will carry the delegation of the world champion, so they can be greeted as it is accustomed, the same way all World Champions have been greeted upon their arrival in Bulgaria. Up until that moment Mrs. Anand had always answered all letters sent to her correctly and in a timely manner. This time there was no answer. A written request to the FIDE Central in Athens was sent immediately, and the answer received was the following: “Mrs. Anand is probably in an airplane and has switched off her cell phone.” The organizers and the journalists in Bulgaria were bitterly disappointed of the attitude of the world champion V.Anand, but we accepted it as a part of the “playing on the nerves game”. * For the fact, that Mr. Anand could not arrive on time in Sofia, the organizers bear no fault. The fault is to be placed on him and his team. Even more, according to art.11.2 from the contract (on which Mr. Anand is placing his statements) “If one of the parties meets an obstacle in fulfilling one of the parties duties according to this Contract due to a Force Majeure occurance, this party should, at the first reasonable possibility, inform the rest of the parties for the nature and span of the circumstances that caused the Force Majeure occurance.” The organizational Committee, as well as the team of V. Topalov up to 11:00h at the 18th of April 2010, was not aware of the troubles of Mr. V. Anand. For those we learned first from the press and then from the supervisor of the match, Mr. G Makropoulus. * According to art. 11.3 from the contract, the party, which states that due to a Force Majeure situation had made impossible or has delayed the fulfillment of one of the party’s duties according to this contract, should use all available means to put an end to the fmajore situation and to find a solution that allows the fulfillment of the contract at hand. If the organizing committee was informed, in a timely manner, for the problem with the arrival of Mr. Anand and his team, we would have given him full assistance to resolve the problematic situation. We understand the problem of Mr. Anand, but we are bitterly disappointed by his derogatory actions and attitude towards the organizers. All problems that emerge should be resolved in dialogue with shown understanding from all sides, and not in the form of pressure. As much as we are aware, there is no official sports event (World or European championship) that has been postponed due to the inability of one of the teams (players) to arrive on time. The party that does not show up carries the sanctions accordingly. For your information, for the last games the Champions League in Football, every team should find a way to be present on time for the given competition. In the given case, if Mr. Anand had used the alternative means of transportation between Frankfurt and Sofia (train, bus, private car, etc. ), he would have arrived to the latest 6 (six) days before the start of the first game, scheduled for April 23rd, which is enough time for getting accustomed and rest. Postponing the match will result in losses of tens of thousands euro for the organizers, the disturbance of the schedules of politicians, sponsors and official figures taking part in the event, the obstruction of contracts with the television and other media and many inconveniences for the numerous international guests, who have already reserved their accommodation in Sofia. Therefore, we consider the request for postponing the game as unacceptable. Note: The text translation is copyright of Chessdom.com, closest possible to the original. We publish also the originals, just as the letter with Anand, in order to avoid misunderstandings.